Think vector borne diseases, what comes to mind? Africa—right? That’s because according to the World Health Organization (WHO), 90% of annual Malaria deaths are heavily concentrated in sub-Saharan Africa, with deaths occurring among the youngest population. For a disease that is preventable and curable, why was it that in 2012 over 600,000 people died from just one mosquito bite? This summer alone I must have been bitten nearly 30 times by a mosquito; each time, though annoyed, I wasn’t afraid for my life—but there are millions of people who fear that every day and their vulnerability is growing because of climate change. I’m from Connecticut; my house sits 100 yards from the Mianus River Park—an incredibly serene place to walk dogs, take hikes, and go fishing on the weekends. On any given hot summer day, this tranquil park transforms into a doggy playground, buzzing with the sounds of panting, overly excited neighborhood dogs and mosquitos breeding at the edge of the river. Lurking in the dense forest are the ticks that silently attack, spreading Lyme Disease, another vector borne disease making its way across the Northeast Region of the United States. Eleven years ago, my mom was bitten by a tick infected with Lyme Disease, and that’s when her battle began. She suffered with an array of disparate symptoms for 8 years until her doctors diagnosed her 3 years ago, when she was finally able to begin immediate and aggressive treatment. Luckily my mom has not been burdened with some of the worst symptoms, which can include nerve damage and heart problems, but she is not symptom free by any means; many people do experience these unimaginable symptoms. 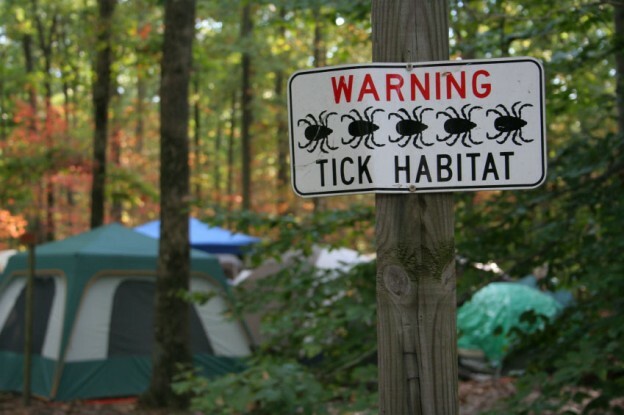 According to the 2014 National Climate Assessment, several studies in the Northeast have linked tick activity and Lyme Disease incidence to climate, specifically abundant late spring and early summer moisture. Lyme Disease will be more prevalent in the Mianus River Park in years to come, leaving many more people, like my mom, vulnerable to ticks bites that could transmit the disease. Lyme Disease is a costly illness that takes its toll on the mind and body, and requires extensive treatment, especially when it goes undetected. My mom went eight years untreated - eight years. Late diagnoses happen way too often, and many symptoms are simply not visible or consistent across patients. According to the Lyme Disease Association, in 1996 a “disseminated Lyme case could cost over $61,000 to treat”, which today would be around $92,000. That’s 55% more than an American’s median yearly income of $51,000. We can’t afford to waste another penny fighting Lyme Disease, be we continue to do so because it's our parents' health and our neighbors dog, these are their battles that they can't do it alone. The costs are clearly high, but the stakes are even higher. This threat is imminent and global; it’s not just Malaria in Africa, or Lyme Disease in Connecticut. More people are susceptible; these vectors are growing; by 2080, the projected expansion of tick habitat, according to the NCA, includes much of the eastern half of the country. For a deeper understanding, interact with the map found in the 2014 NCA and see how changes to our climate will affect the transmission cycle of Lyme Disease in the Northeast Region of the United States. Lyme Disease is spreading; everyone should be prepared and protected outdoors. Right now, we can take preventative measures to reduce many of the future costs associated with climate change. While climate change will not reverse itself overnight, if we act soon and responsibly we may be able to reduce the likelihood that any more people will suffer from this exhausting, costly, and preventable disease. If we don’t act now even our best adaptive efforts later may fall short. Many more people like my mom could become vulnerable to the bites of infected ticks and mosquitoes. The ball is in our court; let’s make sure we make the right play—our futures and health are at stake. Lauren Pollack is a junior at The George Washington University majoring in Political Communication.